Sounds good, right? Unfortunately, the blurb is probably the most exciting part of Crossed. I hate to be negative about a book, but in this case, I’m finding it really difficult to think of many positives. I felt that Crossed was lacking something. Something big. It seemed almost like Ally Condie has used Crossed as a bridge between Matched and Reached, the final instalment in the trilogy. Nothing much really happened in Crossed. I didn’t get sucked into it, and I found it difficult to visualise the events taking place, often getting distracted by life outside of its pages. There’s no denying that Ally Condie has a beautiful writing style, and the poetry throughout the novel was fantastic. Beautiful writing needs to be paired with excellent storytelling, though, and Crossed just doesn’t have that for me. There were so many wasted opportunities to get an emotional reaction from the reader. For example, the reunion we had been waiting for between Cassia and Ky should have left me with a tear in my eye, but it was so rushed that I hardly even noticed it happened. I didn’t grow to love the characters, and I didn’t really care what happened to them, and to me, that’s an essential part of the reading experience that I was missing out on. Perhaps it was because, despite the dual narration, Ky and Cassia have pretty much the same tone of voice. It was hard to keep track of who’s point of view I was reading. Another thing that irritated me about Crossed (yes, I know, I’m still moaning) is the tablets situation. I mean, what? So, the red tablets don’t work on our main characters, thankfully. And hey, neither does the deadly blue tablet… lucky, right? Anyone else agree with me on this one? Plus, the use of all of those different terms: Anomolies, Abberations, The Rising, The Firing, blah, blah. It’s baffling, and I probably wouldn’t be able to tell you what half of them mean. It’s a shame, because the series had the potential to be something amazing. I will still read the third book in the series, although Crossed’s ending didn’t leave me wondering what was going to happen next. It was rather abrupt, but not in an awesome cliff hanger kind of way. Actually, a moment in this book that I did really like was the story of Vick and Laney (which probably lasts less than a page). I’d like to meet Laney in book three. Despite all of my criticism, I’m going to give Crossed three stars, but that’s thanks to the original concept, plus Ally Condie’s style of writing. I did manage to read the entire thing, after all. 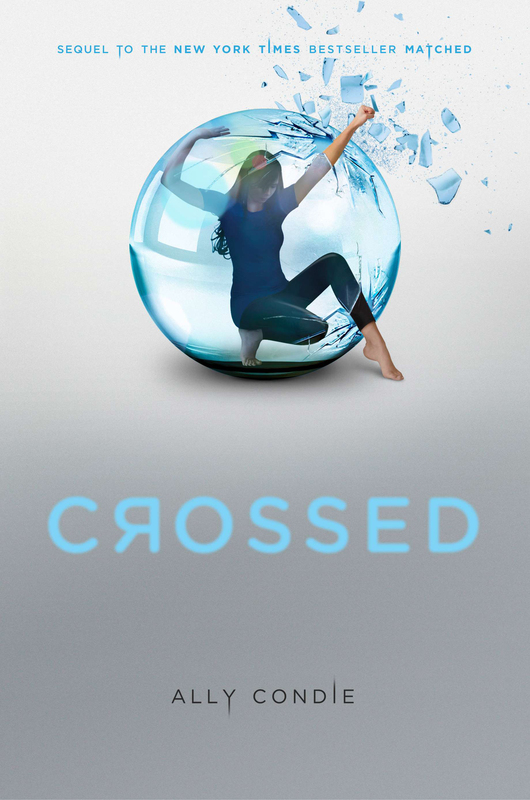 Please tell me I’m not alone in my thoughts about Crossed? I would love to know your thoughts. Next review (which will be much more positive, I promise) will be of Giovanna Fletcher’s debut novel, Billy and Me. You are definitely not alone. I think Crossed let go of all the momentum and possibility that Matched set up. Reached is better though, if you are considering continuing with the series. It’s a shame isn’t it! I am planning on reading Reached, because I can imagine that it will be much better. Like I said in my review, I feel like Condie used Crossed as a way to get from Matched to Reached, rather than as its own book with its own brilliant storyline. Thanks for reading! Great review, Ashleigh. I enjoyed Matched, but Crossed lost me. Have to say Reached was another step downhill for me — will be interested to hear what you think of it!